Update: This building collapsed due to neglect in December of 2018. 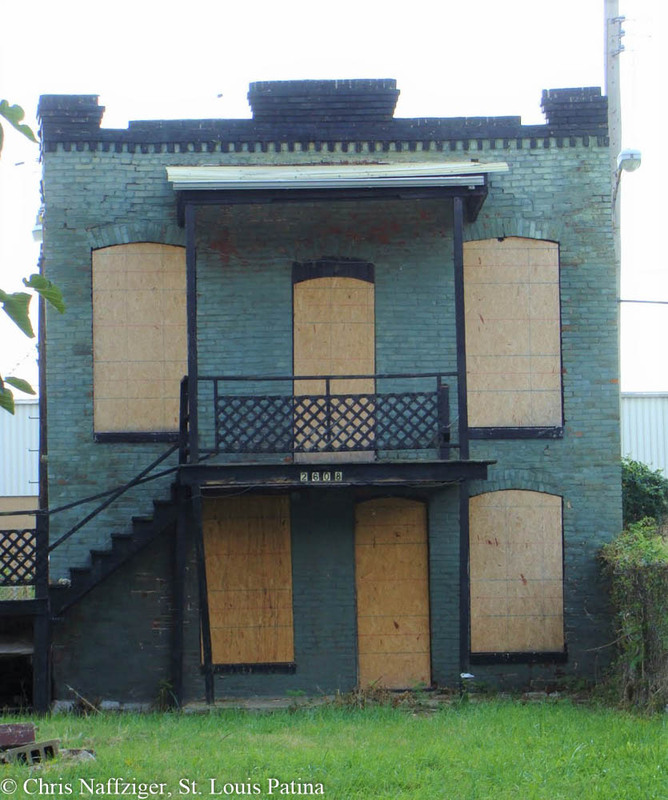 Driving up Jefferson Avenue Saturday, I spied this forlorn relic of the high density living that once existed in North St. Louis. 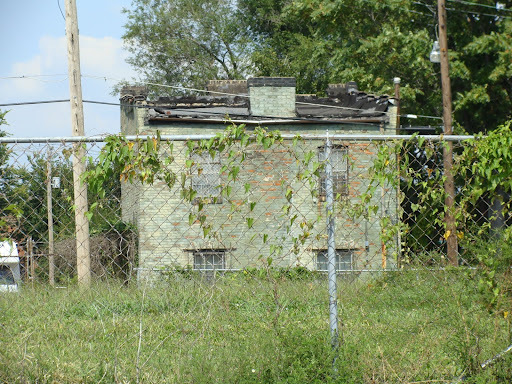 This alley house, which would have been built in the alley of a pre-existing house along the street, still survives. The front is lightly decorated, because it would have been visible from the street, as the main house was offset on the lot. 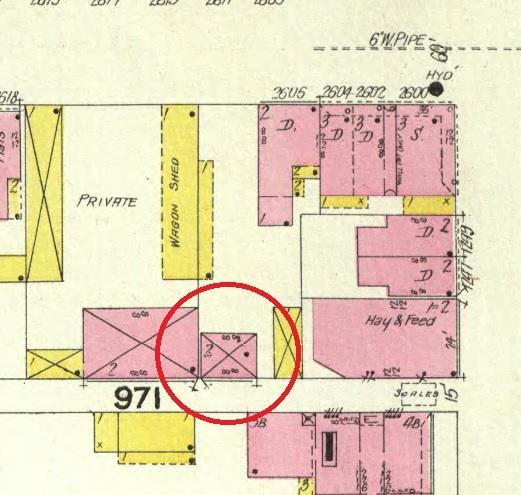 Looking at old Sanborn Insurance Maps, we can spot the alley house with its streetside partner. 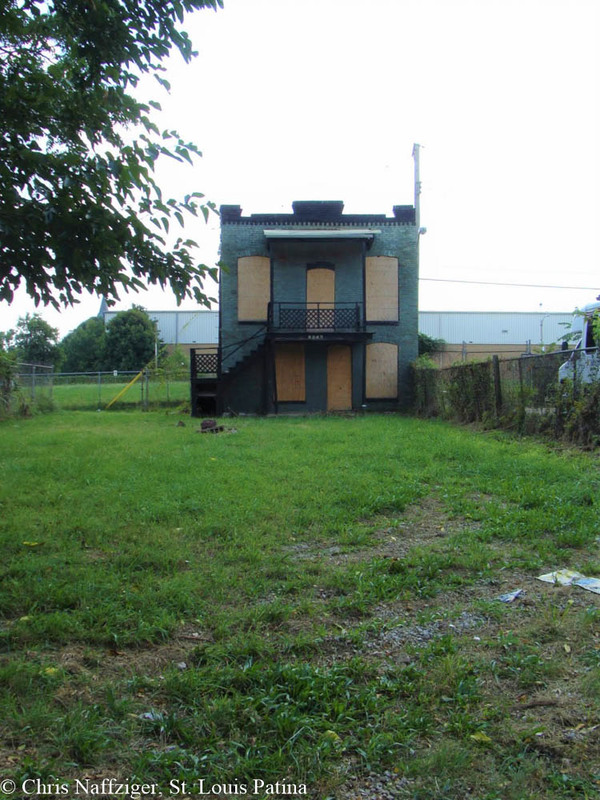 Around on the other side, there is a view of the house across a vacant lot. While photographing this house, two women in a car stopped and asked me if I was working for Paul McKee. I assured them I was not, and told them I was greatly distressed by his actions. They seemed well informed, which is a necessity if the residents of North St. Louis want to get a favorable outcome from the St. Charles developer. Chris, my research points to this originally being a carriage house later converted to a residence.